Provincial Nominee Programs (PNPs) allow Canada’s provinces and territories to nominate candidates for immigration. 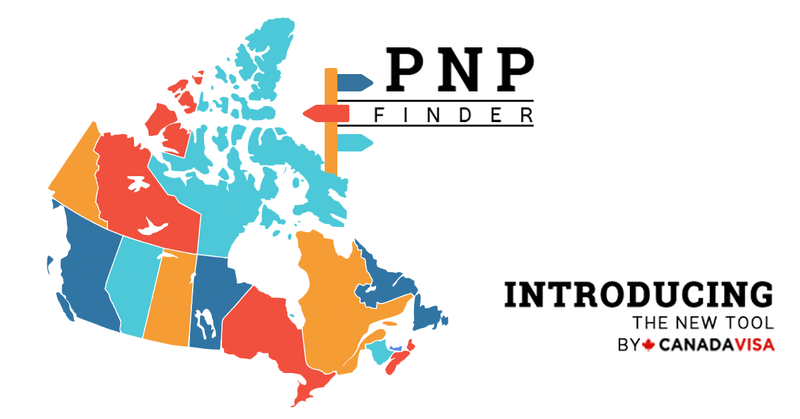 The Canada PNP Finder brings you live updates on all PNPs across Canada. Use our filters to find out which PNPs are open, and which ones are right for you. Canadavisa.com makes reasonable effort to ensure the quality of the information available in this PNP Finder. However, before relying on information contained in the PNP Finder, users should carefully evaluate its accuracy, completeness and relevance to their particular purpose. The information contained within the PNP Finder is provided for information purposes only and does not assess an individual’s eligibility for Provincial Nominee Programs. Nothing contained in the PNP Finder is to be used as professional advice and the PNP Finder is not a substitute for the advice of a lawyer. Users should contact a qualified Canadian immigration lawyer and get appropriate professional advice relevant to their particular circumstances before any action or decision is taken on the basis of any of the material provided in the PNP Finder. Canadavisa.com does not accept any liability for any loss or damage incurred by use of or reliance on the PNP Finder or the information contained therein and cannot guarantee and assumes no legal liability or responsibility for the accuracy or completeness of the information. CanadaVisa's free online assessment will help you determine your eligibility for Canadian immigration with a personalized evaluation based on your credentials. Most provinces and territories in Canada have a Provincial Nominee Program (PNP) that allows them to nominate candidates for Canadian immigration who can contribute to their economic development. In order to be nominated by a province or territory, potential immigrants must demonstrate that they have the skills, education, and work experience required to meet the labour market needs of the destination province. 2. Why is a provincial nomination important for Canadian immigration? A provincial nomination is one of Canada’s key immigration options. PNPs offer tailored pathways to Canadian permanent resident status for students, skilled or semi-skilled workers, entrepreneurs and business owners, among others. 3. Do all provinces offer a PNP? The province of Quebec selects potential immigrants outside the PNP. The Government of Quebec has a separate agreement with Canada's federal government that allows it to nominate individuals based on its own immigration criteria. 4. What is an Express Entry-linked PNP category or stream? An Express Entry-linked PNP category or stream is one that nominates candidates who are already in Immigration, Refugees and Citizenship Canada (IRCC)'s economic immigration selection system. On top of meeting the eligibility criteria for one of these categories and creating an Express Entry profile, candidates interested in Express Entry-linked PNPs generally also must meet additional criteria set by the province and territory in question. Express Entry candidates who are nominated by a Canadian province or territory receive an additional 600 points toward their Comprehensive Ranking System (CRS) score. 5. What is the difference between a ‘base’ and ‘enhanced’ provincial nomination? ‘Base’ nominations may be beneficial to individuals who are interested in immigrating to Canada but who are not eligible for Express Entry. IRCC says applications for permanent residence under a base nomination are paper-based and are treated through the “regular” Canadian immigration application process. ‘Enhanced’ nominations are processed online through a candidate’s Express Entry profile and benefit from Express Entry's six months or less application processing time frame. 6. What is a 'passive' PNP stream? Some provinces have so-called "passive" Express Entry-linked immigration streams that allow provincial authorities to search the Express Entry pool for candidates who meet specified criteria. These streams are considered passive because candidates cannot submit an Expression of Interest (EOI) or apply without first being invited to do so by the province. For example, Ontario's three Express Entry-linked streams — the Human Capital Priorities Stream , the French-Speaking Skilled Worker Stream and the Skilled Trades Stream — allow the Ontario Immigrant Nominee Program (OINP) to search the Express Entry pool for candidates who match their criteria and invite them to apply for a provincial nomination. 7. Do all PNPs require a job offer? No. The job offer requirement varies based on the PNP category or stream's eligibility requirements. 8. Do I need a provincial nomination for Canadian immigration? No. There are many ways to obtain Canadian permanent residence without a provincial nomination. Discover your options for Canadian immigration by completing our free online assessment now. 9. How often is the Canada PNP Finder updated? The Canada PNP Finder is updated as soon as we receive news of developments in a PNP category or stream.